The Crystal Crucible Trap is a Forgotten type weapon. 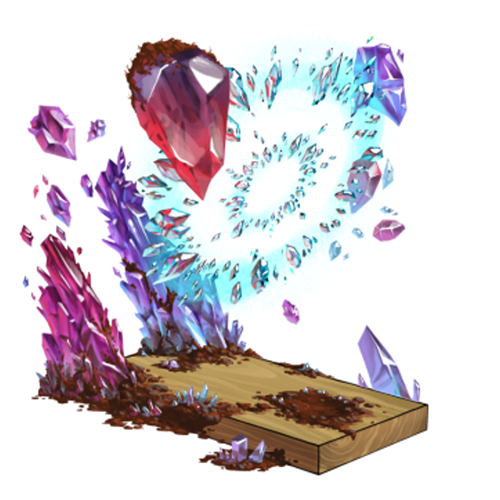 The Crystal Crucible Trap can be purchased from the Trapsmith in Fungal Cavern for 6,640,000 gold, 800 Minerals, 10 Gemstones, 5 Diamonds, and 8 Crystal Crucibles, which will all be spent in acquiring the trap. It can be refunded at the same location for 1,190,000 gold. None of the other items spent to acquire the weapon will be refunded. A complete list of Forgotten weapons can be found here. 12 May 2015: The Crystal Crucible was released with the introduction of the Fungal Cavern. This page was last edited on 12 January 2019, at 12:59.